Raining Cats & Dogs - emma and co. It's quite possibly one of the most cliche things in the world, but there is nothing better than the rain...when you're inside. Though I love cloudy rainy days more than most people, I have to say, waking up from my midmorning nap and having to row in the rain is so much harder than getting up for my 8 ams. It's also been quite hard to shoot, so I'm hoping on getting up a real outfit post before the end of the week. Whether you are sitting on a beach somewhere soaking up the sunshine or just miss the sound of the rain, this is one of my favorite websites that is perfect for falling asleep to the sound of a storm. I never realized how much I was going to use my rain boots when I got to school, as they are perfect for the snow. 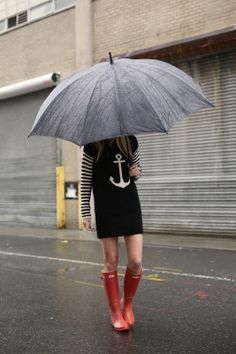 Hunter Boots may be the most basic of basic when it comes to essential rain gear (between my roommate, Katy and I, we all have black ones and can never keep track of them), so here are some of my picks for cute (and unique!) rain boots. Happy Monday! Hope you have a wonderful start to the week! 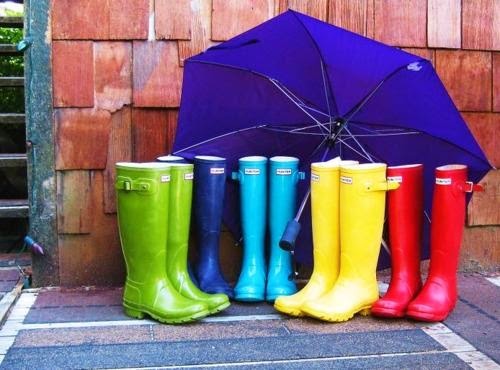 Oh my gosh I love all of those rain boots! As much as I love Hunter Boots, they are SO expensive. I'm glad there are some cute alternatives out there. Thanks for sharing! Thanks so much Madeleine! 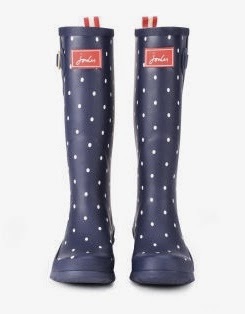 I absolutely love the unique Joules ones- a much cuter alternative to black rain boots.